Red Cross provides imprisoned terrorists with ability to appoint power of attorney and receive salaries directly to their bank accounts. A subsection of a Palestinian Authority guideline stipulates that imprisoned terrorists must receive their salaries only after they fill out a form provided by the Red Cross, Arab media reported. According to the report, the Palestinian Authority's 18th guideline is intended to regulate payments to imprisoned terrorists. This guideline designates someone or something called "Wakill" as authorized via power of attorney to receive the salaries in the prisoner's name. This guideline also allows prisoners to choose an unrelated recipient for their checks. The authorization must be signed by the prisoner himself. Prior to that, he must fill out a form given to him by a Red Cross representative, who visits him and then passes his forms on to the relevant Palestinian Authority offices. "Power of attorney must be a person whom the prisoner himself has authorized to receive the salary in the prisoner's stead," the guideline says. "If the prisoner is married, his wife will be considered to have power of attorney unless the prisoner specifically chooses someone else. If the prisoner is not married, one of his parents will serve as power of attorney." "If there is an argument over which parent to authorize. the prisoner himself will choose one of his parents, or any other person, to serve in the role. "The authorization will be approved once the prisoner has filled out the form provided by the Red Cross and signed his name at the bottom. The form must also be signed by the attorney responsible for the prisoners, as well as by the General Authority for Legal Matters. It will only apply to the salaries received during the prisoner's time in prison." In other words, without the Red Cross' aid and willingness to provide the forms, prisoners would not be able to receive their money via the Red Cross. According to one researcher, the Red Cross' willingness to help imprisoned terrorists receive their salaries is not part of or considered to be part of the humanitarian efforts upon which the Red Cross was founded. 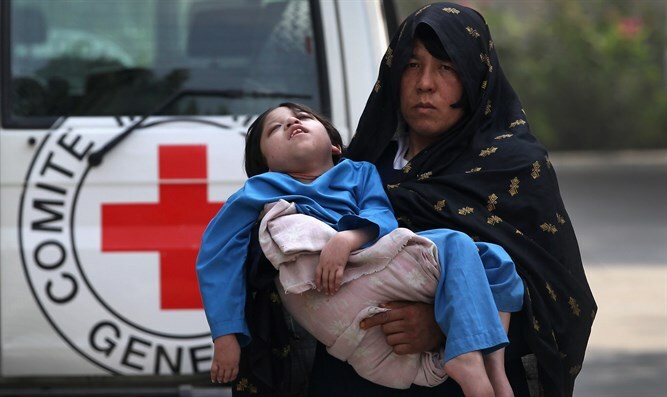 In addition, the Red Cross does not have permission from the government to carry out these activities. "Mabat" researchers have turned to Israeli Prime Minister Binyamin Netanyahu with their findings. "According to the Palestinian Authority's guidelines, every Palestinian who is arrested for security issues, including those who committed terror attacks, receives a salary from the day he is imprisoned until the day he is freed," Mabat said. "This salary rises in accordance with the amount of time the prisoner has sat in jail." "It starts at 1,400 NIS ($400) per month, and can get up to 12,000 NIS ($3,420) per month. "The Palestinian Authority tells foreign governments that these payments are 'social security' and not a true salary. The Mabat research shows that they are lying."